Imagine picking up your beer that has been sitting out in the sun on a hot summer day. 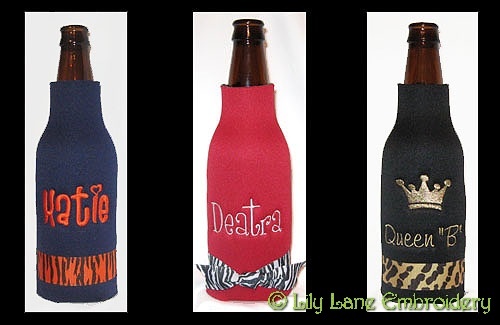 Now imagine drinking your nice, cold beer on a hot day! That's what our beer bottle coolers can do for you. It can keep your beer nice and cold. 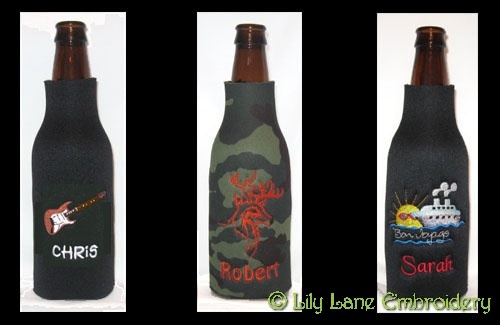 You can choose from our beer cooler designs or get your very own personalized beer coolers. 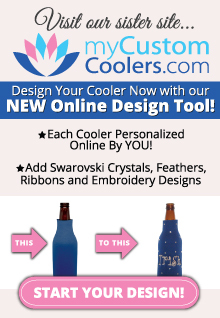 Design your own beer coolers or check out our Best Sellers for our most popular designs. 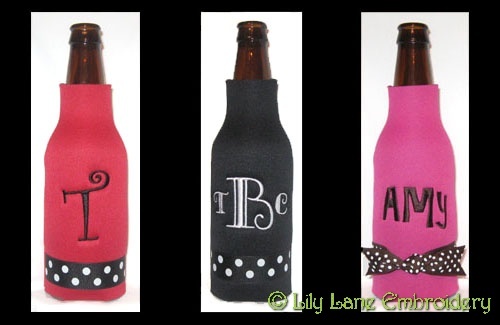 Also check out our popular color combinations for ideas on putting together your personalized beer bottle coolers.